In just four years, the 10-07 Fund has endowed the first two scholarships! 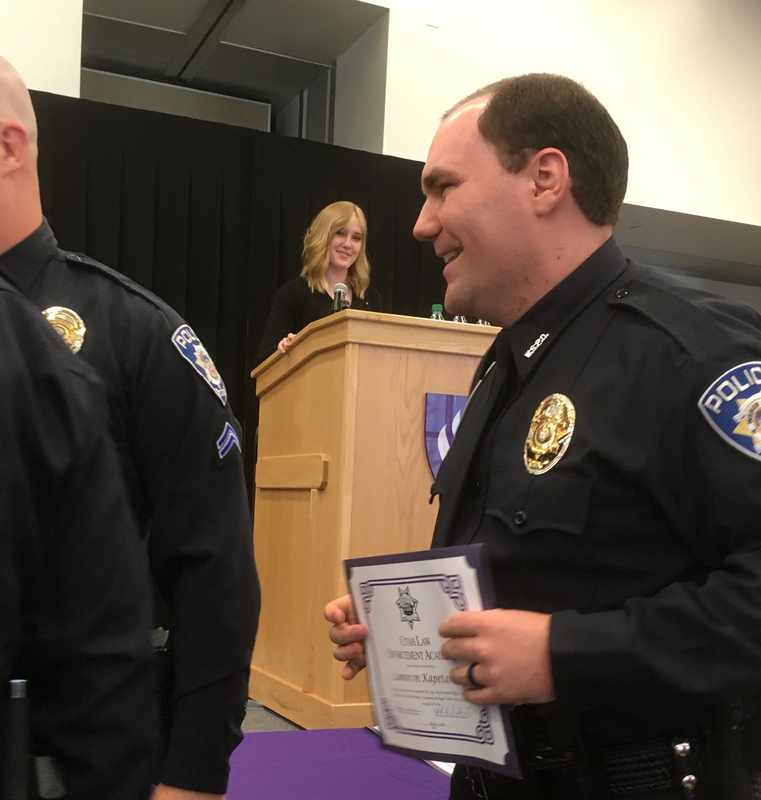 One is available to cadets attending the Weber State University Law Enforcement Academy, the other to those pursuing a degree at Bellevue University. 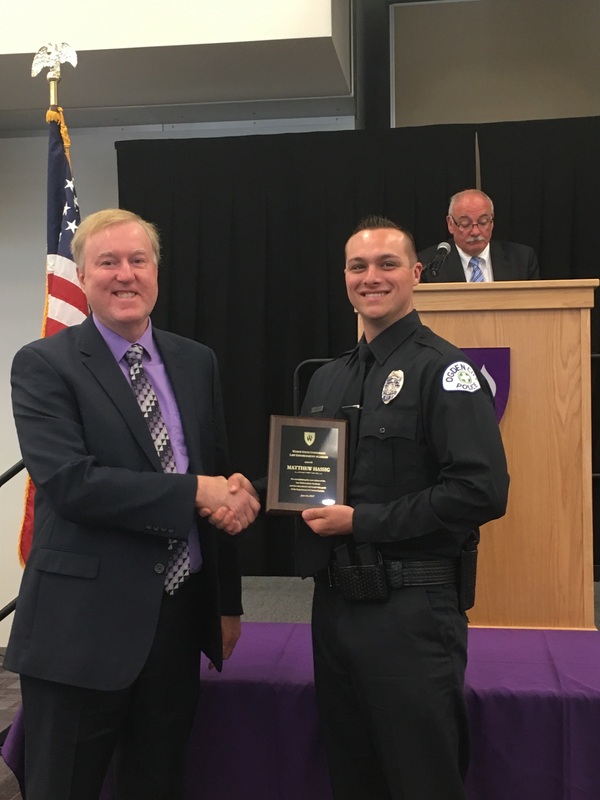 Weber State University Law Enforcement Academy Director Jack Rickards explains the significance of these efforts for the Academy, the connects, and our local community. Thank you to each of you who have walked, run, and cheered us toward achieving this goal! Thank you for joining us for the 2018 Walk/Run! This year, we were honored to have both Toby’s wife April and his commander Will join us. Will and April catch up after the race. Taylor helps raise the flag. WSU Law Enforcement Cadets and our scholarship recipients again supported us, securing safe passage at key points in the walk. We are especially grateful to those of you who have made this event a success year after year. Not only could we not do this without you – we wouldn’t want to! Working side by side with you is a joy. This year, we saw a true and profound outpouring of support from the Ogden community. Special thanks to our multi-year and 2018 Sponsors! Gar Ashby went above and beyond, keeping music in our ears and hearts through the BBQ and until clean-up was complete! Thank you thank you thank you all for your support and encouragement! I would like to thank all the donors of the 10-07 Charitable Fund! 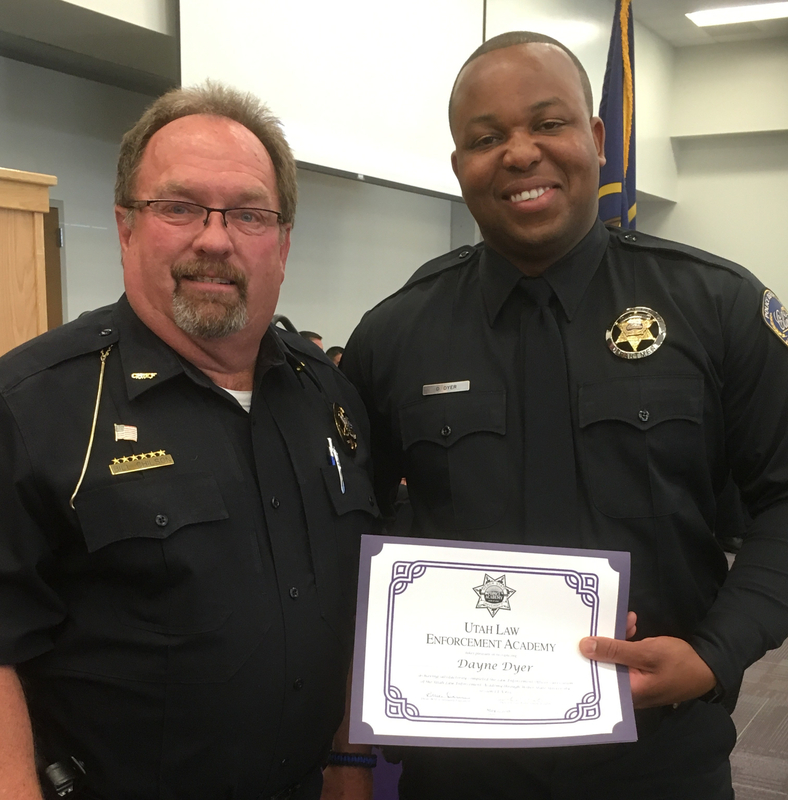 With your assistance I was able to successfully complete Weber States Police Academy program. Most people don’t realize that the majority of the cadets in the Academy pay their own way through the program. Thank you from the bottom of my heart your donation that helped alleviate a lot of the financial burden! Admittedly I didn’t always want to be a police officer; however, I have always enjoyed helping others and serving my community. Being a police officer seemed like the best route I could take to be able to help others, serve my community, and support my family. I started at the Academy when I was 27 and met some awesome future officers in my class. 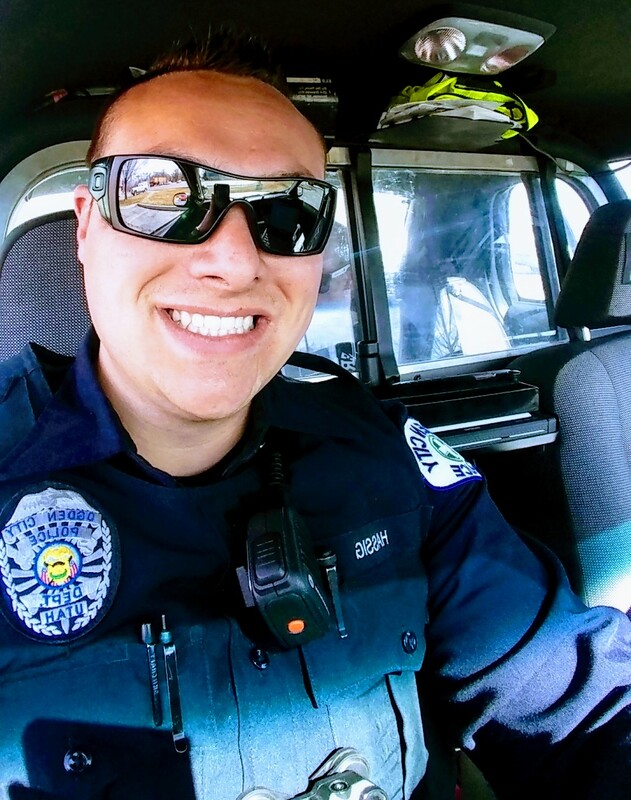 After graduating the Weber States Police Academy, I was hired with Clearfield Police Department and have been a patrol officer for nearly a year. My experience as an officer so far has been incredible! There’s good days, and there’s bad days. There’s boring calls, and there’s exhilarating calls. When I first left the Academy I felt like I knew all there was to know about Law Enforcement. Needless to say I was wrong! Police work is a fun, rewarding career where I’m constantly learning new things! So again; thank you donors and to the 10-07 Charitable Fund! Please allow me to share our experience at the sixth graduation since the beginning of the 10-07 Fund. It was amazing! Eleven cadets have received the Toby Candilora Scholarship to date. The ninth, tenth and eleventh cadets graduated yesterday. Jack and I attended, as we have each graduation. Director Jack Rickards usually introduces us and provides a little background about Toby when they present the scholarships. This year, we were surprised to be presented with an award to the 10-07 Charitable Fund for supporting the law enforcement program at WSU! Even though WSU’s law enforcement academy has been in existence since 1964, the Toby Candilora Scholarship is the first one of its kind. This has been, from its very inception, a collective effort, and we want to take this opportunity to thank our family and friends for supporting this endeavor. We could not do it without each and every one of you. The award was presented by no other than Clinton City Police Chief Bill Chilson, who has hired two scholarship recipients from this graduating class, class representative Dayne Dyer and Chris Wilkinson. After the Chief presented their diplomas, he approached Jack (Jones) and me, held out his hand to shake mine, and pressed a Clinton PD ‘challenge coin’ against the palm of my hand. He said, “Toby was one of my first reserve officers. And one of my favorites.” CHILLS. Cadet, now Officer, Dyer’s commencement speech was eloquent and truly touched my heart. Dyer told of the rigors of training physically to be a law enforcement officer. He cautioned, however, that without training one’s mind, and preparing mentally, it would be impossible to do the job. As a Mom, my mind went to Toby, and the last year of his life. I thought of all of the work he did for so many years to train his mind to do the job that he loved so much. It certainly served him well in his final challenge. I wish that I could convey the gratitude expressed yesterday by the scholarship recipient graduates – and their extended family members. We’re hopeful that reading the thank you notes give you a similar heartwarming experience and validation that, in some small way, we are making a difference. 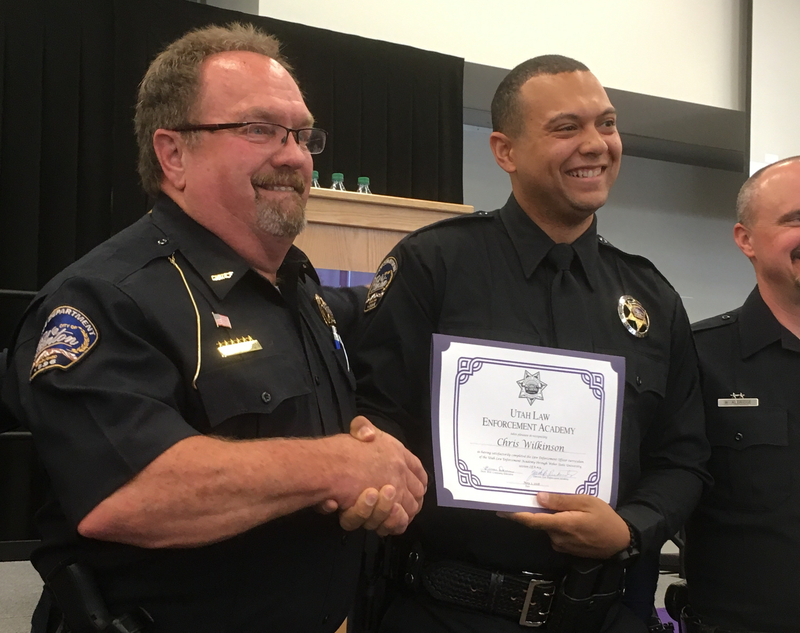 I wanted to give you an update on how life is for me after receiving the scholarship and graduating from Weber State’s Police Academy. During my graduation I was awarded a plaque from the Utah POST Board for Excellent Ethics during my time at the academy. I was hired by my home town Police department of Ogden City and am currently a patrol officer. I received my job right after graduation and could not be more grateful of the opportunities that have been presented to me. Since being with Ogden City I have also become of member the department’s Honor Guard. Within the first two months of working with the city I received an excellent work certificate and I strive every day to make a difference in anyone’s lives that I come in contact with while on or off duty. 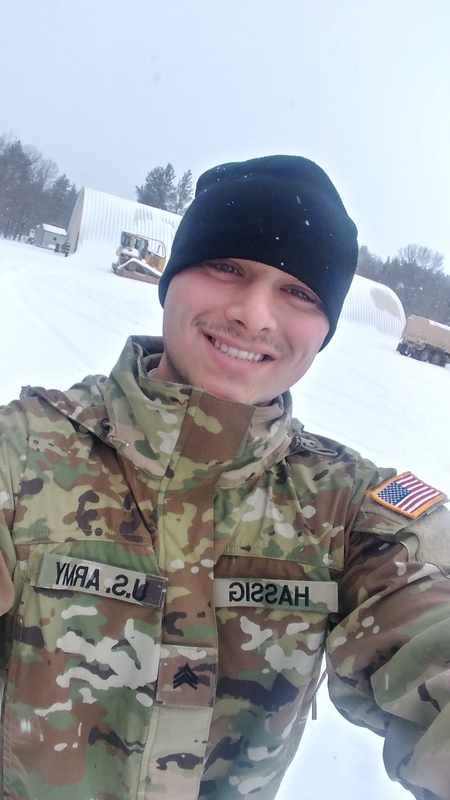 Along with being a Police Officer I am currently enlisted as a Sergeant in the United States Army Reserves where I’ve utilized my experiences from being a Police Officer to become a better soldier every day. I use the skills I learned in school and while on duty within my Army career to help in my decision making and also have become a better mentor and leader for the soldiers I lead in the 744th Engineers. The passion I have for being an officer has inspired a few of my friends to even start their paths in pursuing a career in policing. One of my friends was hired by Roy City after graduating from Weber State’s Police Academy after my graduating class. Ultimately, I wanted to say thank you from the bottom of my heart for the opportunity the foundation helped provide me.